Quality And Service You Can Stand On.™ Call to Schedule a free Consultation! Know what to expect – and always expect the best. 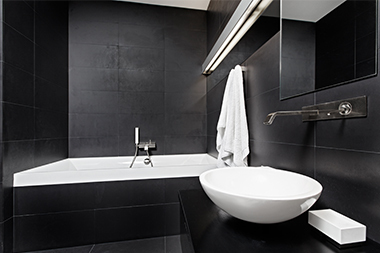 Tile is a material that offers beauty, general durability, and a vast array of design options. No longer relegated to bathrooms and kitchens, modern tile floors offer a versatile range of options for look and style. From modern to rustic, traditional to Southwest, tile floors are an incredible way to add longevity and originality to your space, whether it’s in your kitchen, part of your bathroom renovation, or any other part of your South Florida home. Porcelain (a high quality ceramic) Tile from Sawgrass Floors is available in an infinite number of colors, sizes, shapes, and finishes – there’s no limit to the beautiful, personalized designs you can create in your home. Tile offers timeless beauty and longevity, a unique look that’s personal and practical. Perfect for your bathroom renovation, where moisture resistance and easy maintenance are critical. Tiles impact and scratch resistance are ideal for family-used rooms with heavy traffic. Look no further for luxury and quality. If you’re looking for exceptional quality, experienced, skilled professionals, and you’d like to create a luxurious appeal without sacrificing your budget, tile sold and installed by Sawgrass Floors is perfect for your needs. Whether you’ve been dreaming of a custom marble shower or want to install a walk-in tub for an older family member, we have the design skills and experience to accomplish it. 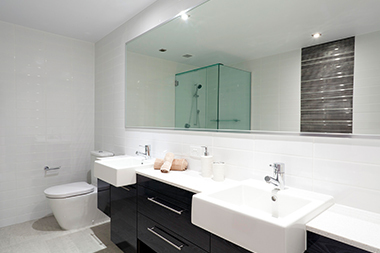 We can accommodate all your bathroom renovations and deliver on time and on budget. We’re licensed, bonded, and insured, so you can trust our work to be high quality and warranted to your satisfaction. Contact us today for more information on how you can achieve the bathroom renovation of your dreams using tile from Sawgrass Floors.